At the age of 97 years, Shigeaki Hinohara is one of the world’s longest-serving physicians and educators. Hinohara’s magic touch is legendary: Since 1941 he has been healing patients at St. Luke’s International Hospital in Tokyo and teaching at St. Luke’s College of Nursing. After World War II, he envisioned a world-class hospital and college springing from the ruins of Tokyo; thanks to his pioneering spirit and business savvy, the doctor turned these institutions into the nation’s top medical facility and nursing school. Today he serves as chairman of the board of trustees at both organizations. All people who live long regardless of nationality, race or gender share one thing in common: None are overweight. For breakfast I drink coffee, a glass of milk and some orange juice with a tablespoon of olive oil in it. Olive oil is great for the arteries and keeps my skin healthy. Lunch is milk and a few cookies, or nothing when I am too busy to eat. I never get hungry because I focus on my work. Dinner is veggies, a bit of fish and rice, and, twice a week, 100 grams of lean meat. There is no need to ever retire, but if one must, it should be a lot later than 65. The current retirement age was set at 65, half a century ago, when the average life-expectancy in Japan was 68 years and only 125 Japanese were over 100 years old. Today, Japanese women live to be around 86 and men 80, and we have 36,000 centenarians in our country. In 20 years we will have about 50,000 people over the age of 100. Music and animal therapy. When a doctor recommends you take a test or have some surgery, ask whether the doctor would suggest that his or her spouse or children go through such a procedure. Contrary to popular belief, doctors can’t cure everyone. So why cause unnecessary pain with surgery? I think music and animal therapy can help more than most doctors imagine. Learn from life’s incidents. On March 31, 1970, when I was 59 years old, I boarded the Yodogo, a flight from Tokyo to Fukuoka. It was a beautiful sunny morning, and as Mount Fuji came into sight, the plane was hijacked by the Japanese Communist League-Red Army Faction. I spent the next four days handcuffed to my seat in 40-degree heat. As a doctor, I looked at it all as an experiment and was amazed at how the body slowed down in a crisis. This is from an email forward I received from Mom. I thought he had some really nice pointers there – especially about energy coming from feeling good..
Jack Canfield once attended a seminar on ‘Happiness‘ . As soon as he entered the room, he noticed red, blue and green notebooks on the tables. He went to his assigned seat and found a red notebook. There was a problem though. He didn’t like red. He wanted the blue that the person next to him had. As people streamed in, many looked around uncertainly as soon as they saw their books. He realized that most of them were likely to have similar feelings. That’s when the facilitator walked in. ‘Let’s address the elephant in the room everyone’ – she said with a smile. 2/3rds of room raised their hands. 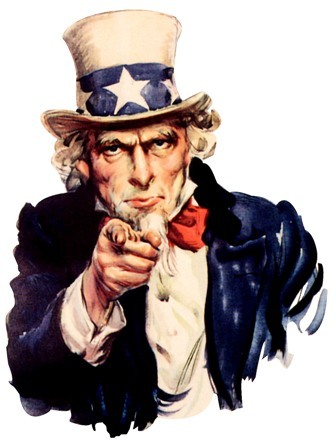 As Uncle Sam implicitly tells us, we have the power! If we take a quick look at the various factors in our life that cause us unhappiness, where can we take the initiative and make switches? Here’s to simple switches to improve our happiness this week! I’d brought this up in my Leadership is Overrated – Part II and thought I would explain further. If perspective is the most valuable commodity on the planet, competition helps greatly in keeping this commodity. In essence, let’s take a simple situation. John works for a small 100 person company. He is one of few in his peer group and is doing very very well. He is much loved by all his superiors, colleagues etc and is essentially on a ‘high’. A few years down the line, John is pitted against his peer group thanks to MBA school admissions and he realizes, in horror, that his growth and training have been woefully inadequate. And that he wasn’t as ‘cool’ as he thought he was. In short, he had been ‘drinking his own kool aid’ and it was competition that woke him up. Herein lies the single greatest value add of competition – keeping perspective. It helps keep our achievements in perspective and keep us grounded. And for those of us who are competitive, it can help us spur action as well.. But, aside from that, competition (in my humble point of view) does more to breed insecurity and unhappiness than almost any other force on the plan. Competition for money, attractiveness and the like helps very few and leaves the rest unhappy. So, let’s brush aside the ‘competition is good for us’ myth and move on ahead. Do we think Microsoft sleeps better at night knowing Google and Apple are waiting to take over their market share wherever possible? Or Coke because of Pepsi? Let’s stop singing praises of competition and just use it for where it serves it’s purpose. I write this as I just had a discussion with a friend about her mid-year review where her improvement point turned out to be an inverse of her biggest strength. Now, I do understand there are times and places where fidgeting doesn’t help – serious meetings for example. And in situations like that, I do work hard to keep it down. But then, that saps me of a considerable amount of energy! Now, as with most things, it does help having a balance. Previously, however, I used to feel very bad about my constant fidgeting. Thanks to some nice advice from a wiser friend since, I’m less apologetic about it these days. I’ve learnt to accept that it comes with the package..
I’m not advocating lack of balance but just that every thing has a flip side. And it helps to be aware of that..
Before I begin the next phase of my leadership rant, I will recommend a great book. This book is called ‘First, break all the rules‘ by Marcus Buckingham and Curt Coffman. 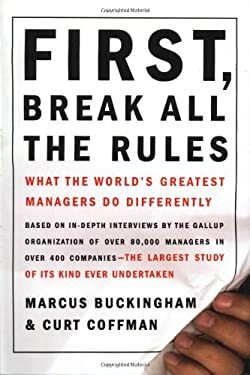 ‘First, break all the rules’ analyzes what great leaders do. This is backed up by close to 25 years of research by the popular analytics firm, Gallup and is a gem. Moving onto the issue itself – my hypothesis is that every organization doesn’t need tons of great leaders. What has worked for Apple is to have Steve Jobs lead the charge and have many great managers all the way down who stay true to Jobs’ philosophy. Similarly, every great organization has a few leaders on top and the rest below are simply great managers. If we go back to the ‘shirtless dancing guy’ episode, that group did not need 10 shirtless dancing guys, they just needed one. In fact, 10 such guys would have only divided the group and caused chaos.. The point I am trying to make is simple – Leadership is a talent. Just like football. 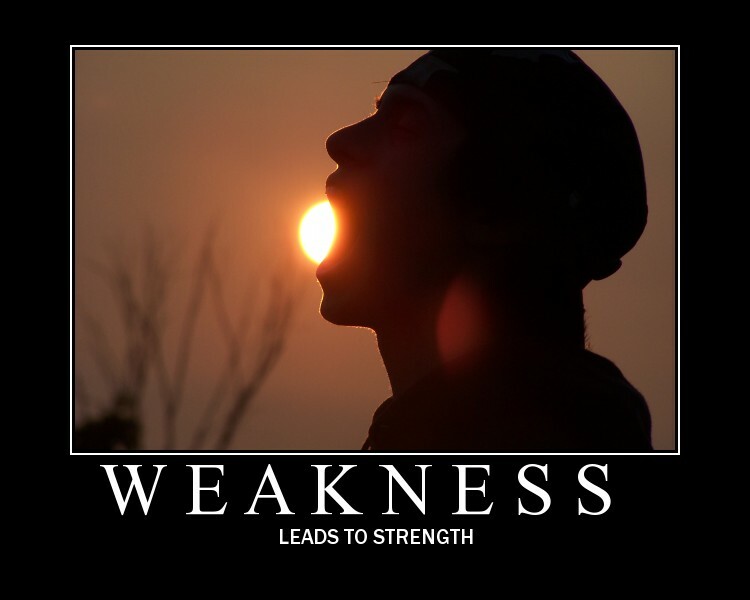 There’s only so much you can do to ‘instill’ leadership qualities. Schools can give students opportunities to lead but all this does is bring out the ones who have the talent. Great management, on the other hand, can be learnt. And, as a result, taught. Great managers can codify what they do and pass it on. That’s precisely what ‘First, break all the rules’ does. That’s not to say great management is easy. In truth, it is bloody difficult. Imagine you are a star in a football team to whom natural talents come easy. Now imagine you make the transition to managing a team – having to bring together a group of likely less talented lads, having to control a couple of arrogant stars and having to just be the ‘catalyst’ and make your group succeed. Suddenly, it is not about you. There is no place for insecurity.. there is only place for coaching, mentoring and letting people do their thing. The good thing however is that it is difficult, not impossible. I would argue what we need is not a world full of leaders. We just need more potential great managers – people bred with self confidence rather than insecurity, bred with the understanding that competition doesn’t decide self worth but is only worthwhile to help maintain perspective and bred with the understanding that leadership is not everything. It would help us remember that people do not leave companies, they leave managers. And great companies/organizations as a result simply have many great managers. And we need more great organizations in this world.